The 33 1/3 books have always struck me as a brilliant idea with somewhat spotty execution. The books generally follow the same formula: analyzing a seminal album in 100-200 pages of insight, interpretations, and/or the historical context of the work. Each book is penned by a different author with a different approach, so naturally there is considerable variation in quality. As someone who really likes to dig into albums deserving of such mental exertion, I much enjoyed the books where everything works (like Ben Sisario's excellent take on Doolittle) and was considerably disappointed by some of the more needlessly abstruse (OK Computer) or autobiographical (Wowee Zowee) installments. Thankfully, Toronto freelance journalist Jordan Ferguson's examination of J Dilla's 2006 album Donuts is a well-organized and illuminating read on one of the best instrumental hip-hop albums ever. Donuts is a scattershot collection of beats that jumps from one idea to the next and pulls the rug out from the listener just when they are getting comfortable. It makes for a great listen, but thankfully Donuts the book is comprehensive and fully-developed. Ferguson follows the popular 33 1/3 format of beginning with historical background and the artist's career progression leading up to the album before delving into its actual content. Much of the first half of the book consists of an extended biography of Dilla and his development as an artist. The book draws from a wide array of interviews, articles, videos, and other sources on Dilla as well as the history of the Detroit music scene. The strongest point of Donuts is Ferguson's comprehensive research. Dilla fans may already be familiar with some of the anecdotes and interviews referenced in Donuts (which is to be expected to some extent), but there is likely quite a bit of new material unless you have seen every YouTube video, Frank-N-Dank DVD extra, and read every random article on Dilla. The book greatly benefits from the fact that Dilla (and his mother, who is also featured prominently) was very revealing and engaging in his interviews. He goes into considerable detail on his craft, philosophy, and his personal history and artistic evolution. Ferguson also conducted some original interviews while writing the book. He got time with Eothen "Egon" Alapatt, the former general manager of Stones Throw Records who was instrumental in releasing Donuts as well as Stones Throw art director Jeff Jank. These provide additional insight into Dilla's personality and how Donuts came together. Ferguson focuses on the album in the latter third of the book. He is a very attentive listener, pointing out small yet important details of the album. I've listened to the album countless times and I never realized that while the album concludes with a reprise of the introduction, there is a stutter that causes a jerky transition between the two. Fergsuon goes on to explain how this plays into Dilla's affinity for samples with "mistakes" in them. Many hip-hop reviews turn into extended lists of sample sources possibly to flex their sampling knowledge muscles/Googling proficiency, and this risk is clearly elevated when dealing with an instrumental album like Donuts. There is a point to every sample Ferguson points out, whether it is to highlight Dilla's eclectic (I had no idea he was a Stereolab fan) musical tastes or his knack for seamlessly integrating disparate sources into his beats. While Ferguson rightfully heaps Dilla with a ton of (much-deserved) praise, especially with his gift for rhythm and drum programming, need for constant innovation, and disregard for the conventional rules of hip-hop production, Ferguson never enters mindless fawning territory, another common misstep in 33 1/3 books. He is refreshingly even-handed throughout, noting (also much-deserved) critical swipes at his rapping ability and some weaker moments in his discography. Ferguson's passion for his subject is evident throughout and he is clearly very knowledgeable about sampling and hip-hop music in general. 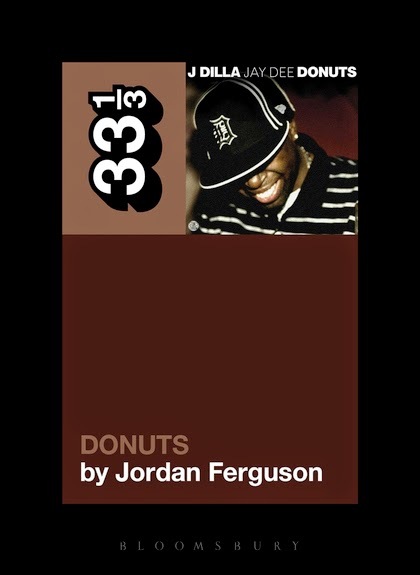 Donuts is definitely one of my favorite entries in the 33 1/3 series and is a worthwhile read for any fan of the album. There are a few brief passages where Ferguson rambles a bit on critical theory but in general he held my interest throughout and offered a hefty bit of background on and more reasons to appreciate one of my favorite albums of the last decade. The inaugural NFL draft was held in 1936 in then-commissioner Bert Bell's suite in the Philadelphia Ritz Carlton. Jay Berwanger, the first player to be selected, never actually played a single down of professional football. The Heisman trophy winner from the University of Chicago turned the NFL down and eventually worked as a sportswriter and plastic parts manufacturer. The draft as a low-key event with minimal media coverage. Top athletes turning down the riches of the NFL. Bankable careers in journalism. Clearly a lot has changed over the almost 80 years since the first NFL draft. 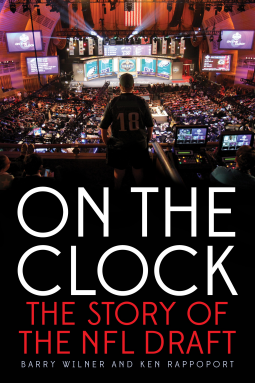 Barry Wilner and Ken Rappoport's new book On The Clock attempts to chronicle the history of the event and how it has mutated from these humble beginnings into a spectacle and tentpole event of the NFL's "off" season. While it offers a few compelling passages, the book is a little uneven overall. It's a quick read and worth consideration from those looking to learn about the history of the draft but I can't recommend it incredibly strongly to casual NFL fans. The book begins with a brief overview of the major storylines of the 2014 draft, which likely won't offer any new insights into the event. We already know whether Jadeveon Clowney is going to go first overall and if Johnny Manziel is going to fall in the draft. The authors then transition from Radio City to the Cincinnati Bengals' war room for a more interesting albeit briefer look at how teams figure out what names to write on those little draft selection cards. The rest of On the Clock proceeds with a largely chronological overview of the draft's history and major topics. Rappoport and Wilner, both sportswriters for the Associated Press, clearly demonstrate their knowledge about NFL history and they do a fine job describing how Bell developed the draft and was also instrumental in facilitating team parity through the worst-team-picks-first draft order. There are also a few amusing anecdotes, such as how Chargers owner Barron Hilton helped his fellow AFL teams use Hilton hotel rooms to hide top college players from NFL team personnel during the heights of the AFL-NFL fight for talent. These chapters also feature brief profiles on major figures, which are unfortunately too short to really offer anything new to those already familiar with the likes of Bill Walsh and Sammy Baugh. Wilner has written a slew of children's books and at times the book feels like it is geared towards younger audiences with its simplistic prose and very brief, Buzzfeed generation-friendly chapter lengths and lists. I can't ding the book because I don't fit perfectly into their target demographic but I do feel it is worth pointing out. Later chapters examine more recent developments of the draft and these sections have their moments. Chapters outlining the history of ESPN's draft telecast and draft experts were pretty entertaining though I wish the authors went into greater detail. Still, hearing about how the likes of Mike Mayock and Mel Kiper prepare for the draft and their biggest prognostication-related regrets were probably the highlight of the book for me. There is a sizable amount of filler that seems like it was mainly added to tip the page count a little higher. The most egregious example is when the book detours to a list of the best and worst picks by each team with a pithy sentence or two explaining the rationale for each selection. This is followed by the best and worst picks for each position, and as you would expect there is a decent amount of overlap between the two which doesn't help matters. On the Clock definitely benefits from the lack of current literature on the subject. Outside of Pete Williams' more fly-on-the-wall-y 2007 book The Draft there are very few books specifically on the draft. A lot of the draft's history has been covered in a slew of other books but never in one concentrated volume. So while it isn't the best-written book in the world and doesn't go into much depth at all about the Combine and how players prepare for the draft, On the Clock is still a decent (and really the only) read for those looking to learn about the history of the institution. Agility and scale are often considered mutually exclusive attributes of companies. Smaller companies are generally flexible and able to act quickly on things. Larger corporate behemoths are able to easily obtain scale merely by virtue of their largeness but are often mired in red-tape and SOPs that hinder their ability to act quickly on anything. Apparently the Coca-Cola corporation has been largely able to circumvent this problem (though some former top officials have recently called the company "structurally bloated and often slow") at least to a sufficient enough degree to warrant a book about how they did so. 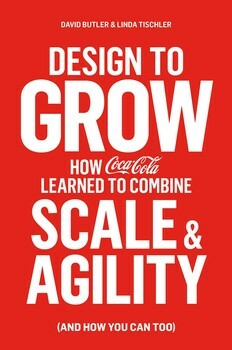 Design to Grow examines Coca Cola's ability to balance agility and scale by utilizing the power of design and provide lessons for other companies looking to do the same. It was written by David Butler, the VP of Innovation and Entrepreneurship at the company and offers some case studies illustrating how the company used design elements to continue chugging along atop the beverage market and key takeaways for applying his concepts. It's a decent and quick read though it suffers from some of the expected general pitfalls of mass-market business books. Butler provides a very broad definition of "design" that basically encompasses packaging, signage, websites, visual identity, advertising, materials and various other similar elements. He outlines some initiatives ranging from altering the design of bodegas in Latin America to rolling out the Freestyle drink machine. Butler is a senior executive at the company and was highly involved in many major company innovations, allowing to offer considerable insight and perspective into many of these decisions. These experiences make up the bulk of the first half of the book while the rest of Design to Grow concentrates more on adopting his principles to other businesses. The book reads decently well (it was co-written by a senior editor at FastCompany and feels like reading a very fleshed-out magazine article) but it suffers from some of the problems endemic to the business book genre as a whole. Examples seem cherry-picked, not everything coheres particularly well probably because Butler's definition of "design" is incredibly broad, and there is a good bit of repetition as major points are hammered home. Butler also seems especially focused on catering to the owners of startups who usually face few issues with agility but considerable difficulties with achieving scale. Maybe it's because I've personally worked on a lot of CPG brands and find the vertical fascinating but I wish the book took a more narrow approach with its lessons rather than trying to provide one-size-fits-all template. I can't really hold it against him though given it would severely curtail his potential audience. Overall, Design to Grow is a pretty good read and I think it's worth seeking out even if you aren't one of the startup owners Butler seems to be primarily catering to. I learned a good bit about Coca-Cola's overall philosophy and some of the case studies, particularly those in the developing world like Latin America and Kenya were enlightening.